Firstly and most important as we age, it’s like slowly deflating a balloon. Thus leaving creases and folds, (such anesthesiologist folds) and skin with no where to go. In the past there were no effective treatments to reverse this process. 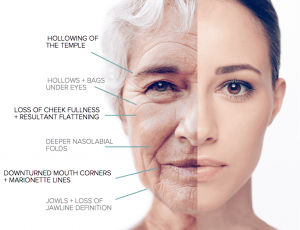 Dermal fillers represent a non invasive way to address this issue of volume loss. Thereby filling the void under the skin and erasing creases. The results are a natural, more youthful look, with softer facial contours and a healthier appearance. Dermal fillers are also effective for increasing fullness to narrow lips enhancing sunken cheeks contouring the bridge of the nose. Firstly Re hydrating Fillers Range Re hydrating to perfection With Re hydrating Fillers Dermal Fillers Range, in the result it give the radiance of youth back to your patients’ skin. Hydrate the skin with the most powerful hydrating agents. Nature of the product Resolvable gels made of non cross-linked hydro calouronic acid. In conclusion If You need Dermal Fillers and thinking for good skin specialist, Do Visit Prof. Dr. Ikram Ullah Khan Skin Clinic and choose the best.